The new 3.2km section of the O’Keefe Rail Trail through the Heathcote urban area is completed, and ‘open for business’. The use of this new walking and riding trail has gained much local support, as well as daily and weekend use. And there is more excitment in the air! 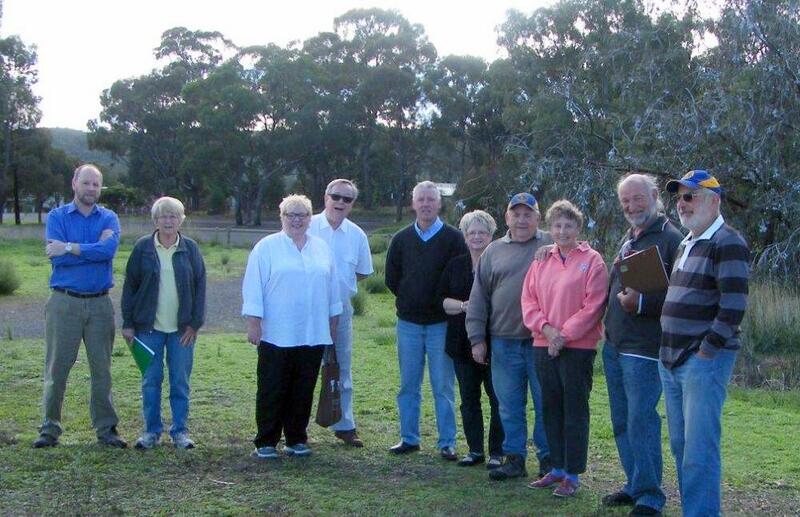 The Heathcote Lions Club, under guidance of President Daryl Dedman, are now in the early stages of planning to construct an information shelter for the new trail. With its design still to be finalised, it is expected that this proposal will become a popular meeting place for local residents using the trail. Once the completed rail trail connects Heathcote to Axedale and Bendigo, expected prior to 31 Dec 2014, visitors using the trail will also be able to seek refuge in this shelter and/or find out what’s on offer in Heathcote. Other projects, related to the O’Keefe Rail Trail, are also being considered by this very active and locally involved club.